How can Jews preserve Jewish distinctiveness and yet join with others in partnership and dialogue? This week I continue my discussion about the need to maintain a balance between "particular" and "universal." Read my latest essay, "Jews and Others, Continued," and let me know what you think. You can also review the responses to my essay by Catharine Clark, Rabbi Menachem Creditor, and Eric Woodward. Visit the "Conservative Judaism: A Community Conversation" blog—and follow me on Twitter @Arnold Eisen (twitter.com/ArnoldEisen) as well. A Jewish imperative for famine and hunger relief"
Over the past several decades, there has been a sea change in Jewish engagement—a reimagining of what it means to be a Jew and a citizen of our planet. Whether youth leaders or active adults, Jewish voices have joined a chorus of empowered people around the world saying "no" to injustice. As hunger relief and famine now make the front page every day, it is our responsibility as Jews to do something. Join AJWS President Ruth Messinger for a dynamic presentation about AJWS's role in famine relief, food justice and the upcoming national Global Hunger Shabbat. Learn more about how you can be a part of it all. As president of American Jewish World Service (also known as "AJWS") since 1998, Ruth Messinger has built a strong international development and human rights organization that funds over 450 grassroots projects in 32 countries, and sends more than 400 skilled volunteers and young people to do hands-on service in the developing world each year. Ruth assumed this role in 1998 following a 20-year career in public service in New York City and continues her lifelong pursuit of social justice issues at AJWS. Ruth is considered a national leader in the movement to end the genocide and promote peace in Sudan. She is also a leader of faith-based efforts to secure human rights and, in recent years, served on the Obama administration's Task Force on Global Poverty and Development. Ruth has been honored for her inspirational efforts to deepen our people's commitment to tikkun olam by many national Jewish organizations and has received honorary degrees from four major rabbinical seminaries. In recognition of her work, Ruth has been named one of the Forward's "50 most influential Jews of the year" for nine years and was recently included by the Jerusalem Post in it's list of the "World's Most Influential Jews of 2011." Ruth's husband, Andrew Lachman, directs an education foundation in Connecticut. Ruth has three children, eight grandchildren, and two great-grandchildren. Before everyone sang I was doubting myself, but their faces, their voices, their souls drew mine into a dance that, every once in a while, begins again. Like today's tearful, soulful dance. I was awash with the cosmos. we swim and dance and cry and sing. We can be comforted in this way by God. This email was sent from my phone. Please forgive any typos. College - TRY/USYHigh is great for getting into college - our alumni attend many of the top universities and all use this experience as a springboard to making themselves stand out in their college applications. Growth - TRY is a four-month and USYHigh is a two-month maturing process. Our alumni return much better prepared for the riggers of academic life and personal responsibility. 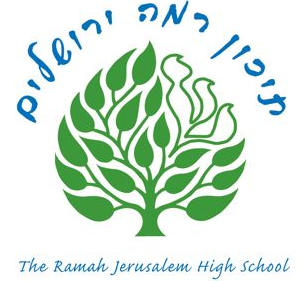 Full credit - The Ramah Jerusalem High School is fully accredited by the Middle States Association meaning that all credits transfer back to schools in the US and Canada. Camp - TRY/USYHigh combines what is great about Camp Ramah and USY but within an academic high school setting making learning fun and even more productive. Living in Jerusalem - TRY/USYHigh is in Jerusalem, the center of Jewish gravity. My experience on TRY was amazing. Academically, socially and religiously I have grown ... and TRY has given me so much insight into my Jewish identity and Jewish roots. USYHigh was amazing and life changing. I have matured a lot and have become a better person overall. Not just from the people around me, but the experience in Israel. This past Semester at TRY was one of the best experiences of my life. Life changing. I loved TRY! Thank you for a wonderful TRY experience. We know that our daughter is coming home a changed, more mature, and well-educated person. I wish all 4 of our children had this experience. Thank you for all that you have done and continue to do educating young adults. We need your help. Our goal is to prevent TRY/USYHigh from becoming the best kept secret in the Conservative movement. Please present this program to your teens and their parents. Visit our website and feel free to call Judy Greene, our coordinator in New York at 212-678-8883 with any questions or information about scholarships. Click here to view a video about TRY/USYHigh. Judy Greene, Coordinator, Ramah Programs in Israel, or give her a call at 212-678-8883. Jewish Ideas Daily: "Who Speaks for Israeli Arabs?" Who Speaks for Israeli Arabs? Historians writing about Israel's 1948 fight for independence generally place heavy responsibility for the Palestinian Arab refugee problem on the Arab leaders who urged their people to flee Palestine temporarily until the Zionists were driven into the sea. But not all historians: in the late 1980's, a revisionist school of scholars, benefiting from fresh access to Israeli archival material and politicized by their opposition to Israeli settlement policies, advanced the thesis that blame for the refugees' flight was shared heavily by the country's founders. In their self-criticism and often ostentatious soul-searching, these "New Historians" exemplified what seems to be an immutable characteristic of the Jewish psyche. For Ilan Pappé, a prominent New Historian, soul-searching is beside the point. Best known for his inflammatory The Ethnic Cleansing of Palestine (2006), Pappé, Haifa-born, self-exiled to Britain, invests his energies in promoting the Arab cause in general and the academic boycott of his former university in particular. Now he is out with a new book, The Forgotten Palestinians: A History of the Palestinians in Israel. It elaborates on his view that the Jewish state was born in sin and that this moral deformity is ineradicable. Pappé's premise is that the Jews had no moral right to assert their case for national self-determination in Palestine because there were Arabs living there. For the same reason, the Arabs were justified in rejecting every compromise offered, including the UN's 1947 partition plan, because the Jews were "newcomers." In Pappé's history, the Jews "expelled" over 700,000 refugees and inexplicably—never mind the continuing state of war between Israel and the Arab world—refused to let them return. Pappé's latest polemic focuses on those Arabs who heeded the urging of Jewish leaders and didnot flee. He finds it galling "that those who stayed became the 'Arab minority of Israel.'" (He calls them "Palestinian citizens of Israel," since he abhors the term "Israeli Arabs.") True, these Arabs were given Israeli citizenship and the right to vote. But he cannot fathom why they were not treated exactly like Jews—why their ID cards listed them as "members of the minority community," and why those in rural and border areas lived under military rule until 1966. There are dark episodes in the history of the Israeli Arabs, such as the calamity of "Kfar Kassem." On the eve of the 1956 Sinai war, amid heightened fear of Arab fedayeen activity, an awful miscommunication over wartime curfew orders led to the killing of 47 innocent Arabs by Israeli soldiers. A number of those responsible were punished. Pappé relishes the recounting of this and other isolated disasters. But there are many more cases that Pappé can place under the thematic umbrella of Palestinian victimization only by ignoring salient facts. His account of the 1976 Land Day rioting, which left six Israeli Arabs dead, omits noting that the 6,000 dunams of supposedly "Arab land" involved, which were expropriated for a development intended to benefit both Jews and Arabs, were considerably less than concomitantly expropriated Jewish and state lands. As for the frightening Arab riots of October 2000, unleashed in solidarity with the second intifada, Pappé describes them as a mere "gathering of youths" who were then cold-bloodedly picked off by "police snipers." Pappé is incensed that the Hebrew press did not provide capsule obituaries for the Israeli Arab rioters as it did for their Jewish victims. The insistence on a narrative of oppression poses difficulties for Pappé. On the one hand, he insists that the Jews had no reason to view the Arabs among them as a security risk, because "Palestinians by and large accepted Israel as a fait accompli." Yet he does not want to portray Israeli Arabs as comfortable; thus, while some critics outside Israel have accused them of being too docile, Pappé defends the community's honor. He reports that some Israeli Arabs have contemplated an "Algerian-like struggle," citing, without hint of disapproval, the "famous case" of the 1969 bombing of a Hebrew University cafeteria by Arabs from the Galilee. Pappé's implacable hostility distinguishes him even in the pantheon of Blame-Israel-First revisionists. His friend and mentor, Avi Shlaim, author of Collusion Across the Jordan: King Abdullah and the Zionist Movement (1988), has claimed that Jordan never actually planned to push Israel into the sea and that David Ben-Gurion declined opportunities to make peace with its monarch before the latter's 1951 assassination. Shlaim thinks Israel's right wing hijacked Zionism on behalf of the "illegal occupation." Yet at least he has described Zionism as the national liberation movement of the Jewish people, and he opposes anti-Israel academic boycotts. Similarly, the late Simha Flapan, in The Birth of Israel: Myths and Realities (1987), charged that the Zionists were somehow responsible for Palestinian flight because, deep down, they did not really want the Palestinians to stay. Yet even Flapan maintains that he never questioned "the moral justification and historical necessity of Zionism." Indeed, one of Pappé's fellow revisionists has actually reevaluated his position, even if he can't quite bring himself to recant explicitly. Benny Morris, in The Birth of the Palestinian Refugee Problem, 1947–1949 (1989), held both Israel and the Arabs culpable for the refugees' flight. He called Zionism a "colonizing and expansionist ideology . . . intent on politically, and even physically, dispossessing and supplanting the Arabs." Morris now says that this description referred to the Zionism of the 1930's, before its leaders embraced multiple plans for partitioning Palestine. His recent work, One State, Two States, places decisive responsibility for the continuing conflict on the Arab nations, a stance that has earned him excommunication by the remaining revisionists. Pappé's loathing of Israel allows for no such complications. Pity the student assigned his latest book, and shame on any professor for assigning it. Welcome to the first edition of Ha-Mahberet*- The Notebook - the occasional newsletter of the Adult Ed Committee. Ha-Mahberet will keep you posted about the many adult educational programs at Netivot Shalom. We are sending our occasional newsletter to people who have expressed an interest in adult directed educational and enrichment programs at our synagogue. The Adult Ed Committee is currently planning classes, book reviews, stimulating lectures, workshops and films that we believe you will find interesting. In Ha-Mahberet we will announce new programs, classes, and workshops, and updates on times and places. 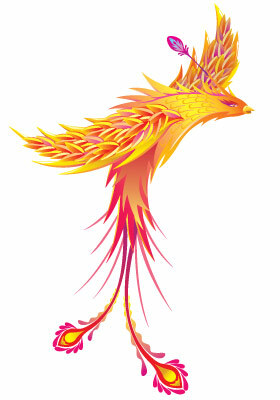 In addition we will send you links and descriptions of other programs in our community that might be of interest to you.. Please forward these newsletters on to your friends and ask them to send an email to cnsadulted@netivotshalom.org to have their name added to our mailing list. We hope to see you at shul - and especially at one of our events. *A note on our name: Mahberet is a noun derived from the root [chet - bet- reish] the same root that chaver "friend" or "cohort" comes from, and the same root that "connect" comes from. So our "notebook" acts as a friendly connection for you about our programs. At the end of this issue of Ha-Mahberet you will find information about our on-going weekly programs, Wednesday's La'asok, Thursday's Talmud, and Shabbat Torah Study. They are all no-charge drop in classes open to everyone. To prepare for the High Holy Days,the Adult Education Elul Learning Institute presents a three evenings of information and inspiration all based on our new Machzor Lev Shalom. Back again this year, the Yeshivat Lev Shalem offers all new enriching and enjoyable evenings of food, davening, and classes. Our distinguished faculty includes a number of rabonim including Rabbis Stuart Klelman, Menachem Creditor, Shalom Bochner, Mimi Weisel, Daniel Isaacson, and Avi Novis-Deutch; along with our members Judy Massarano, Barry Kamil, Judith Radousky, and others. Each evening begins with an optional dinner at 6 pm, followed by Mincha at 7 pm. Classes begin at 7:30 and Ma'ariv at 9:30. Coffee and a nosh will be served between classes. A donation to the Adult Education Fund is suggested. Joining us for Dinner? Please RSVP to Rachel Schorr in our office (office@netivotshalom.org) if you plan to have dinner and for which evenings. Dinner costs $10/adult for each night payable in advance; or, $12 at the door! A series of classes which will examines the radical poetic interpretation of Biblical texts and Jewish ideas by Israel's poet laureate, Yehuda Amichai. 8 Sessions [Sept. 6th, 13th, & 20th; Oct. 4th, 18th, & 25th; Nov. 1st.and Nov 8th.] Tuition is $125: some scholarships are available. Classes begin September 6th at 7:30 in the Library. RSVP to Rachel office@netivotshalom.org. Perhaps no one writes with more authority, more generosity of spirit, and more depth and understanding on tshuvah than Rav Kook. Join Josh Gressel for an Elul study of select passages from "Lights of Penitence" - Rav Kook's most famous and most studied work. The course will take place. on three consecutive Thursdays leading up to Rosh Hashana:September 8th, 15th, and 22ndfrom 7:30 - 9:00 pm in the Netivot Shalom Library. A $36 donation to the Netivot Shalom Adult Education Fund is requested; however, no one will be turned away for lack of funds. We will begin with Havdalah with singing, and a nosh. 9:30 class begins with Rabbi Bochner and "Stories of Tshuvah"
10:30 class with Rabbi Creditor. "Joyful Trembling: Glimpses into Rosh HaShannah"
Each Shabbat, after Kiddush (around 1 pm) a speaker presents a topic for discussion. Often this venue is the place to hear visiting scholars, book reviews, developments in a field of inquiry like Biblical Archeology, or listen to poetry. There will be a special After-Kiddush Program on Shabbat September 3rd in the Netivot Sanctuary. Rabbi Yosef Leibowitz, former rabbi of Cong. Beth Israel, is currently the director of the Yad Yaakov Fund for Jewish Education. He is also Rabbi at the Minyan Hachadash in Kfar Saba. Rabbi Leibowitz will speak about this week's Parashah, Shoftim. 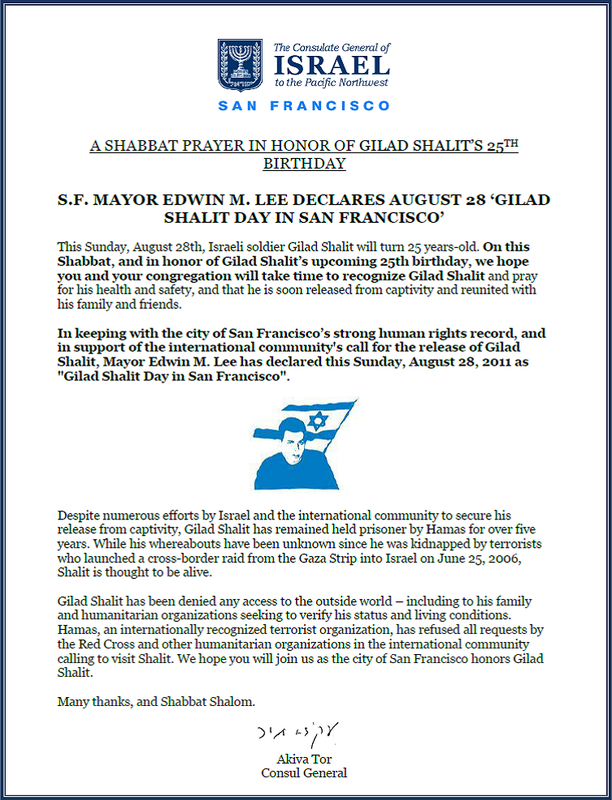 This event is co-sponsored by Netivot Shalom, Congregation Beth Israel, and Beth El, Berkeley. Come and learn the origins of the Sidur through our weekly journey through Masechet Berachot - Tractate Blessings. Comfort with reading Hebrew is preferred. Learn the teachings and humor of our sages. It's got everything - including the kitchen sink! And we generally debate with each other in the spirit of the sages! There is no charge for this on-going class, but a donation to the Adult Ed Fund would be appreciated. After the Yamim Nora'im, we begin our fourth year of weekly study. This year we will explore topics relating to Jewish ethics and practices. Our texts will be Heschel's God in Search of Man and Klein's The Guide to Jewish Religious Practices. Come to La'asok to stay or just drop in to be part of the discussion about challenging topics confronting our lives. Our discussions are often challenging and comforting. Read, discuss, and debate the week's Parasha. We use Etz Chayim as our text. We often have professional teachers lead the discussion, but just as often skilled volunteers from our congregation are our leaders. There is no charge for this on-going year-long class, but a donation to the Adult Ed Fund can help continue this and other free classes. See you next Shabbat at Torah Study! Netivot Shalom, from its founding in 1989, has had a policy of providing most of its Adult programming at no-charge. Providing adult educational programming was a prime motivation for establishing our synagogue. Because some of our teachers are professionals and need to be paid for their services, we charge tuition. However, people unable to pay the tuition are never turned away. We make up the difference needed by accessing our Adult Education Fund. In addition, we use the fund to help develop programs and pay honoraria to visiting scholars. Please consider a tax deductible contribution to the Adult Ed Fund the next time to come to a no-charge event as an expression of thanks to the synagogue. Donation envelopes are available outside the office door. Mark your donation as for the Adult Education Fund. Thank you. 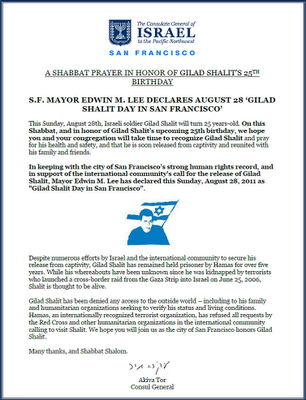 This Sunday has been named "Gilad Shalit Day" in the city of San Francisco by Mayor Edwin M. Lee. It is Gilad's 25th Birthday. It has been over 5 years since his family has seen him. For more information, click here: http://www.meetgilad.com. Celebrate Rosh Chodesh Elul with Netivot Shalom this Wednesday, August 31st at 7:15am! Celebrate Rosh Chodesh Elul with Netivot Shalom this Wednesday, August 31st at 7:15am! This is our first opportunity to hear the shofar being blown for this Season of Repentance. 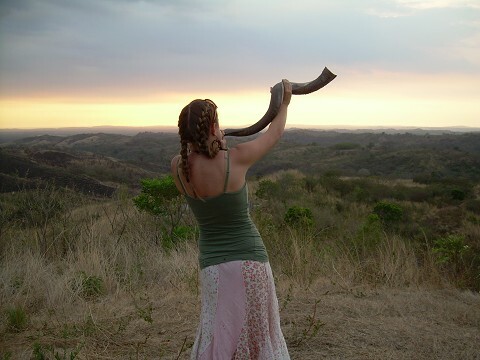 The shofar is blown following Shacharit each weekday until the day before Rosh Hashanah. "Yellow Pages" Poster For Sale! Masorti's creative "Yellow Pages" poster/ad campaign cataloguing the livelihoods of Talmudic sages caught the attention of Jerusalemites and the Israeli press as public attention in Israel focused on government stipends for full-time yeshiva students. Now available as a poster in English through Haggadahs-R-Us, (shown below) it is a terrific conversation-starter for classrooms, in your sukkah or just about anywhere you gather with friends and family. 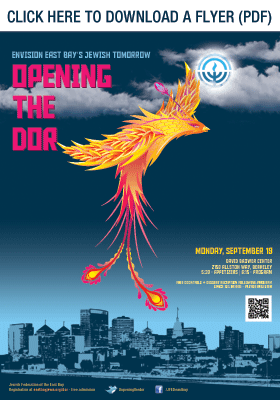 50% of the profits from the poster sales will go to support the Masorti movement in Israel. $8.95 each for 2 or more copies; bulk rates available. Shipping additional: $3.41 for 1 or 2 copies, via USPS Media Mail. Justice, Justice You Shall Pursue: with Ruth Messinger in the Bay Area! Over the past several decades, there has been a sea change in Jewish engagement—a reimagining of what it means to be a Jew and a citizen of our planet. Whether youth leaders or active adults, Jewish voices have joined a chorus of empowered people around the world saying "no" to injustice. As hunger relief and famine now make the front page every day, it is our responsibility as Jews to do something. Join AJWS President Ruth Messinger for a dynamic discussion about AJWS's role in famine relief, food justice and the upcoming national Global Hunger Shabbat. Learn more about how you can be a part of it all. For further information please contact Sprinza Katz at 415.593.3297 or skatz@ajws.org. © American Jewish World Service 2011. All rights reserved. Click here for U.S. state compliance notices. Having trouble viewing this message? Click here to see it in your browser. Each breakout group will be facilitated by representatives of organizations from the Jewish community and will engage the next generation for a shared discussion toward a vibrant East Bay Jewish community. This event is intended for those in the East Bay Jewish community between the ages of 21-45. Not Sure about Tisha Be'av? Jewels of Elul VII: "The Art of Seeking Light"
Care about your child's Jewish identity?